Bharat Ratna Dr. Bhimrao Ambedkar is known as a world-class lawyer, Dalit political leader and chief architect of Indian Constitution. Due to being born in an untouchable family, he had spend all his life in hellish tribulations. There are some facts which are still unknown to most of the people. Let us study about B.R Ambedkar through this article. 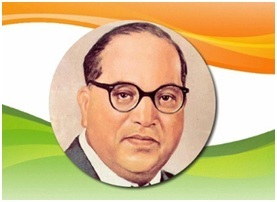 Bharat Ratna Dr. Bhimrao Ambedkar is popularly known as Babasaheb, Dr. Bhimrao Ambedkar. He was born on 14th April, 1891 in a poor untouchable family of Mhow and he was died on 6th December,1956 in Delhi. 1. Dr. Babasaheb Ambedkar was 14th and last child of his parents. 2. Dr. Babasaheb Ambedkar's real surname was Ambawadekar. But his teacher, Mahadev Ambedkar, gave him Ambedkar surname in the school records. 3. Dr. Babasaheb Ambedkar was the first Indian to get a Doctorate (PhD) degree in Economics from abroad. 4. Dr. Ambedkar is the only Indian whose statue is attached with Karl Marx in the London Museum. 5. The credit of giving place to "Ashok Chakra" in the Indian Tricolour also goes to Dr. Babasaheb Ambedkar. 6. Nobel Prize winner Prof. Amartya Sen considered Dr. B. R. Ambedkar as his father in economics. 7. For the better development of Madhya Pradesh and Bihar, Babasaheb had proposed division of these states in 50s, but only after 2000 Chhattisgarh and Jharkhand were formed by splitting Madhya Pradesh and Bihar. 8. Babasaheb's personal library "Rajgirh" consisted more than 50,000 books and it was world's largest private library. 9. The book "Waiting for a visa" written by Dr. Babasaheb is a textbook in Columbia University. Columbia University made a list of world's top 100 scholars in 2004 and first name in that list was Dr. Bhimrao Ambedkar. 10. Dr. Babasaheb Ambedkar was master in 64 subjects. He had knowledge of 9 languages like Hindi, Pali, Sanskrit, English, French, German, Marathi, Persian and Gujarati. Apart from this, he studied all the religions of the world in comparative way for almost 21 years. 11. In the London School of Economics, Babasaheb completed 8 years of studies in just 2 years 3 months. For this, he studied 21 hours in a day. 12. Dr. Babasaheb Ambedkar's initiation in Buddhism with his 8,50,000 supporters historical in the world, because it was the largest conversion in the world. 13. "Mahant Veer Chandramani", a great Buddhist monk who initiated Babasaheb to Buddhism, called him "the modern Buddha of this age". 14. Babasaheb is the first and only person in the world to receive a valuable doctorate degree named "Doctor All Science" from London School of Economics. Many intelligent students have tried for it, but they have not been successful till now. 15. Worldwide, highest number of songs and books written in the name of the leader is Dr. Babasaheb Ambedkar. 16. Governor Lord Linlithgow and Mahatma Gandhi believed that Babasaheb is more intelligent than 500 graduates and thousands of scholars. 17. Babasaheb was the world's first and only Satyagrahi, who did Satyagraha for drinking water. 18. In 1954, in the "World Buddhist Council" held in Kathmandu, Nepal, Buddhist monks had given Dr. Babasaheb Ambedkar highest title of Buddhism "Bodhisattva". His famous book "The Buddha and his Dhamma" is the "scripture" of Indian Buddhists. 19. Dr. Babasaheb Ambedkar had considered three great men, Lord Buddha, Saint Kabir and Mahatma Phule as their "instructor". 20. 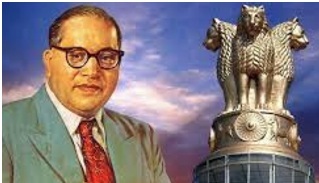 The highest number of statue in the world is of Babasaheb. His birth anniversary is also celebrated all over the world. 21. 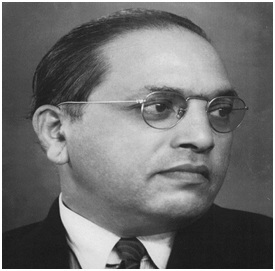 Babasaheb was the first lawyer from backward class. 22. Based on a global survey called "The Makers of the Universe" a list of top 100 humanist people of the last 10 thousand years was made by Oxford University, in which fourth name was Dr. Babasaheb Ambedkar. 23. Babasaheb Ambedkar has given many suggestions in the book "The Problem of Rupee-Its Origin & its solution" about the demonetisation that is being discussed all around in the present time. He has described in his book that "If any country has to eliminate black money and fake currency, then after every 10 years Country's currency should be demonetized." 24. Everywhere in the world, Buddha's closed-eyed statues and paintings are visible, but Babasaheb, who was also a good painter, made the first painting of Buddha in which Buddha's eyes were opened. 25. The first Statue of Babasaheb was built in the year 1950, when he was alive and this statue is established in Kolhapur city.